Do you have extra cash or Jewelry that you need to have secured. which range from different sizes and types. Never spin your safe dial. Safes are an important part of saving your valuables. However, it is important that you chose the right type for your needs. A burglary safe is made ONLY to protect from outside attack for a specific amount of time. They will not protect the interior contents from a fire. As the following photo's will show, some customers have made the wrong choice for protecting their valuables. 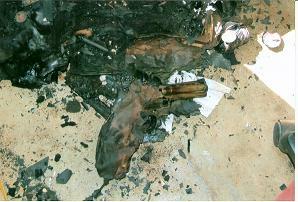 The following pictures that you will see are the results of not having the proper safes to protect your items. 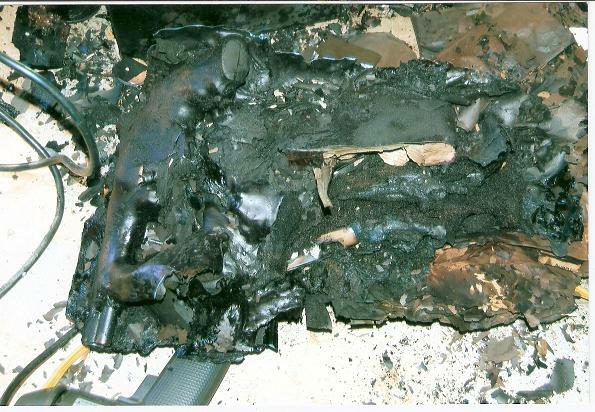 This is a burglary safe from the fire in pictures above. 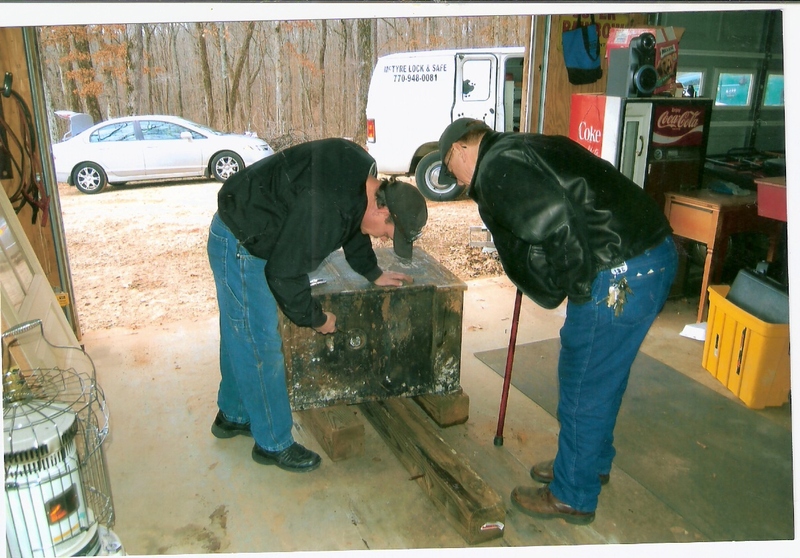 The contents in this safe were coins, antique guns, and various antique Items. 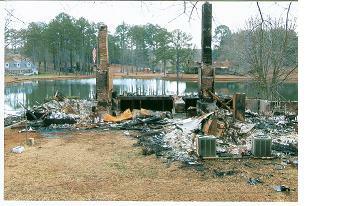 All interior items were destroyed, and unsalvageable. This fire safe was in the same fire above. 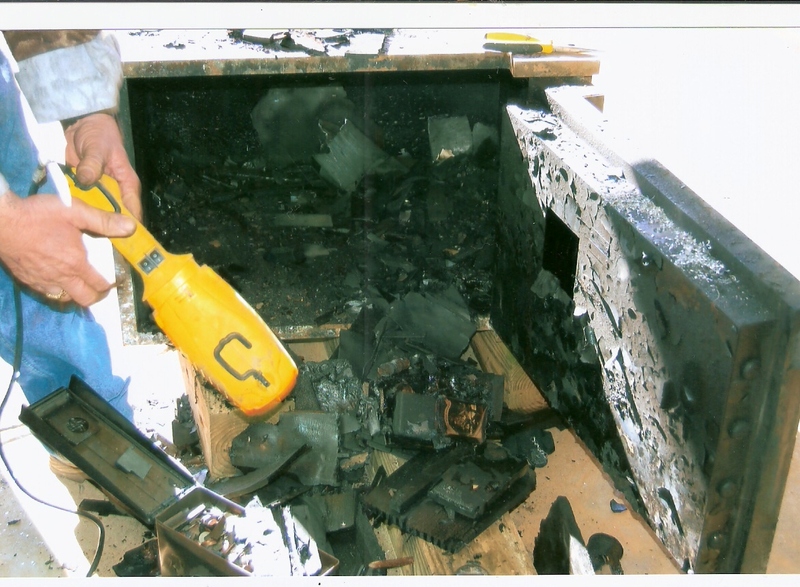 This fire resistant safe protected its contents , and no items or documents were lost. 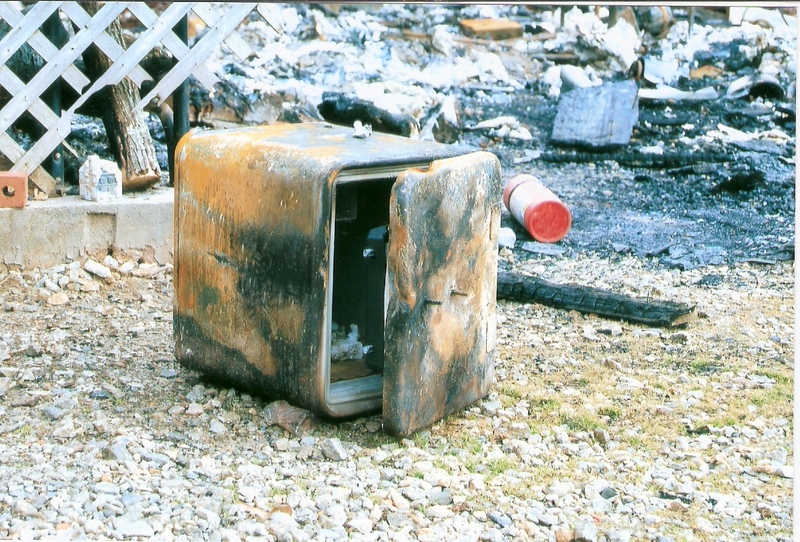 This safe below is a fire resistant safe. It is not manufactured for anything but fire protection. It took burglars 8 minutes total to enter the large building, locate the safe, and steal 23 thousand dollars. Making the wrong SAFE choice can be devastating for you or your business.